The recommended dietary allowances (RDAs) for specific nutrients were established by the Food and Nutrition Board (FNB) of the National Research Council of the USDA in 1943 and have been reviewed a number of times since then. The initial guidelines were aimed at achieving optimal health by avoiding nutrient deficiencies. However, the distinct trend of more recent recommendations has been towards the prevention of nutrition ­related diseases. In other words, the RDA for a nutrient is not determined by a specific industry, but is based on the most recent research at the time of the review. In 1993, the FNB initiated another revision of the RDAs. As a result, the FNB proposed a framework for the development of future nutrient recommendations known as dietary reference intakes (DRIs). The DRIs comprise several reference values that relate to the concept of distributed requirements and distributed intakes. The different values are tools for assessing and planning diets and are most applicable to groups of people because the exact nutritional requirements of an individual cannot be known (also see ‘Dietary reference intake components’). Estimated average requirement (EAR): Reflects the estimated median requirement and is particularly appropriate for applications related to planning and assessing intakes for groups of people. Recommended dietary allowance: Derived from the EAR and meets or exceeds the requirement for 97.5% of the population. Tolerable upper intake level (UL): The UL is the highest average daily intake that is likely to pose no risk of adverse effects to almost all individuals in the general population. As intake increases above the UL, the potential risk of adverse effects may increase. Adequate intake (AI): This value represents the average intake level based on observed or experimental intakes. It is used when an EAR or RDA cannot be determined. The Institute of Medicine issued the first set of DRIs in 1997. 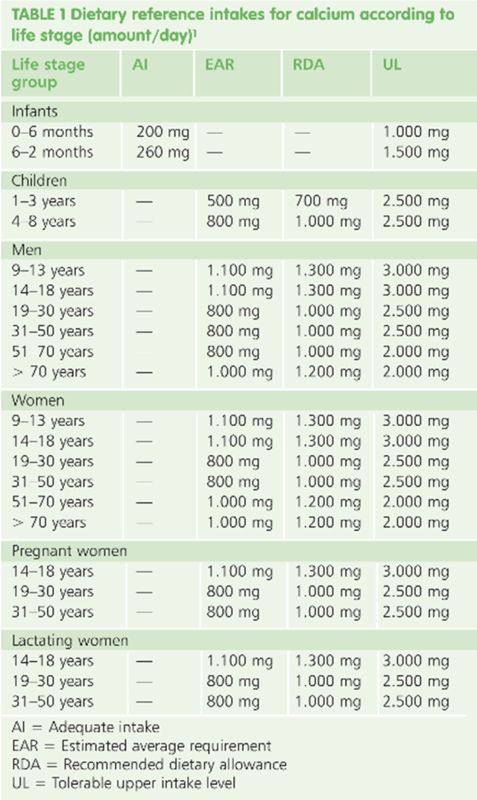 In 2011, the Institute of Medicine Committee published the updated DRIs for calcium (Table 1) and vitamin D. These include consideration of chronic disease indicators (e.g. reduction in risk of cancer) and other, non­chronic disease indicators and health outcomes. The available scientific evidence supports a causal role for calcium only in skeletal health, providing a sound basis for DRIs. 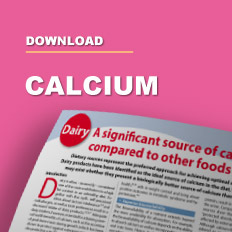 However, no compelling evidence exists yet to show that calcium is causally related to non­skeletal health outcomes or that intakes greater than the DRIs have health benefits. Calcium is classically associated with dairy products. Milk, yoghurt and cheese are good sources of calcium, providing the major portion of calcium from foods in the general diet of North Americans. 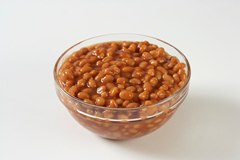 Although consuming the recommended number of servings of dairy products is the easiest way to meet calcium needs, a number of non­dairy products, such as sardines with bones, green leafy vegetables like broccoli, beans (pinto, red and white), sweet potatoes, rhubarb and corn tortillas naturally contain calcium. However, these foods generally either contain less calcium per serving or have a lower calcium bioavailability than milk and other dairy products. 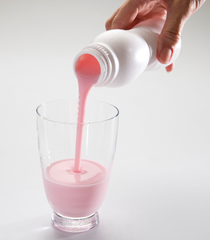 Therefore, larger servings of many non­dairy products containing calcium may be needed to equal the calcium intake from a typical serving of milk or other dairy product. However, the high absorbability of calcium from a particular food cannot overcome its low calcium content. The contribution of a food to meeting calcium needs depends on its calcium content, calcium bioavailability and the frequency and quantity of consumption.